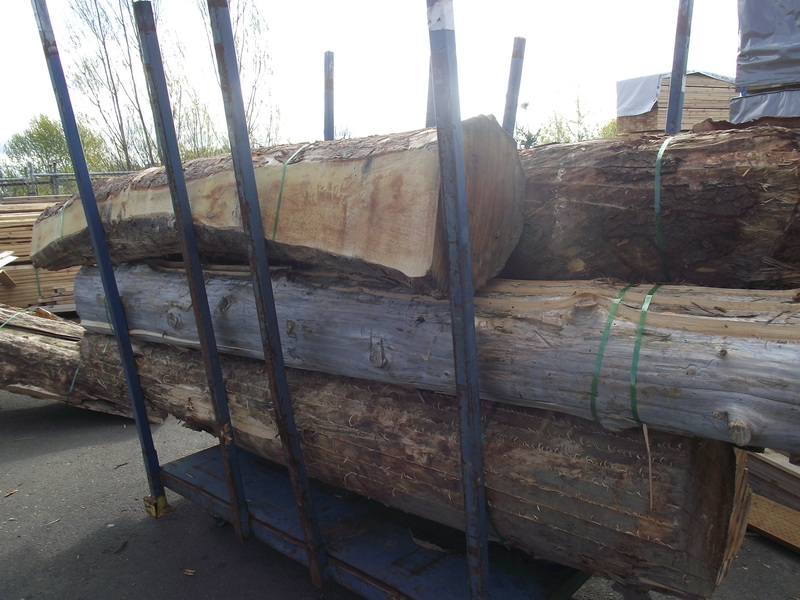 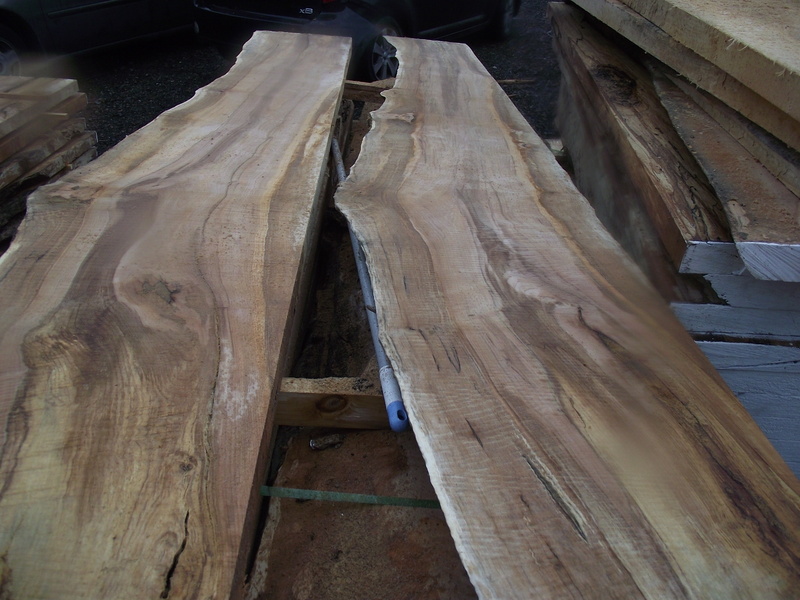 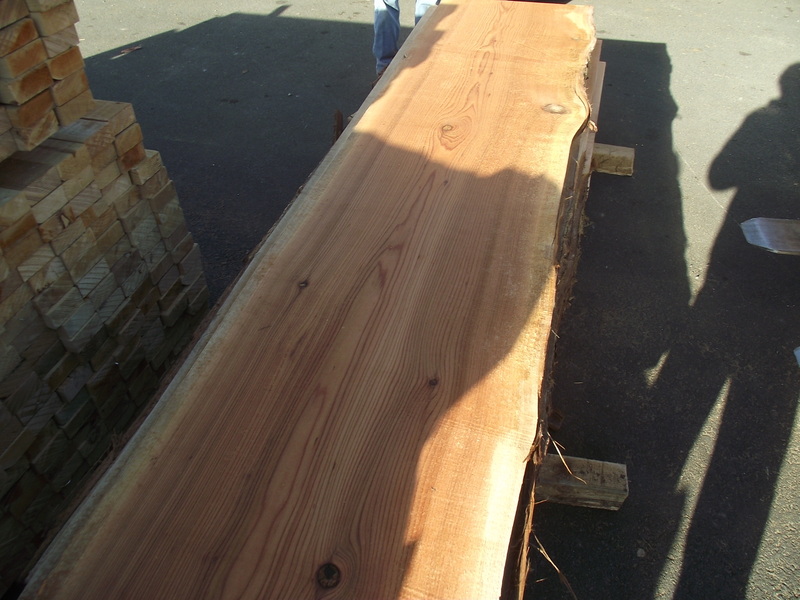 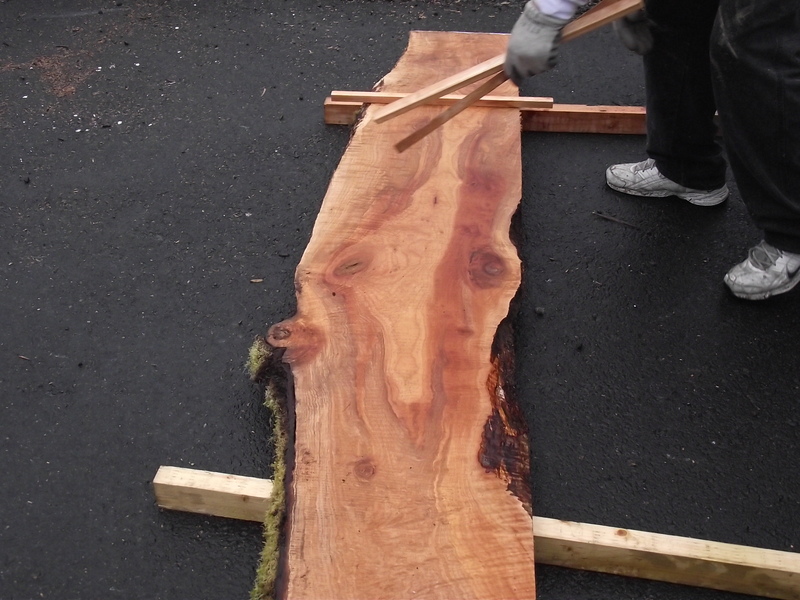 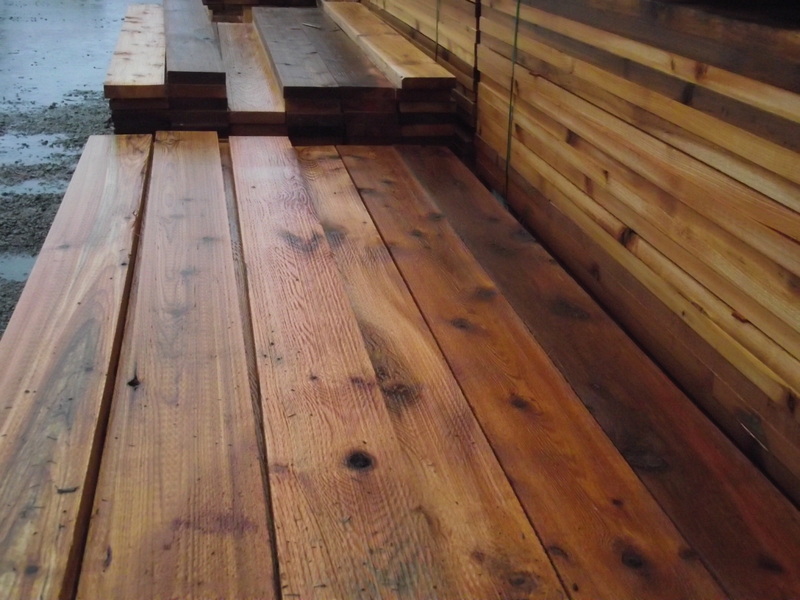 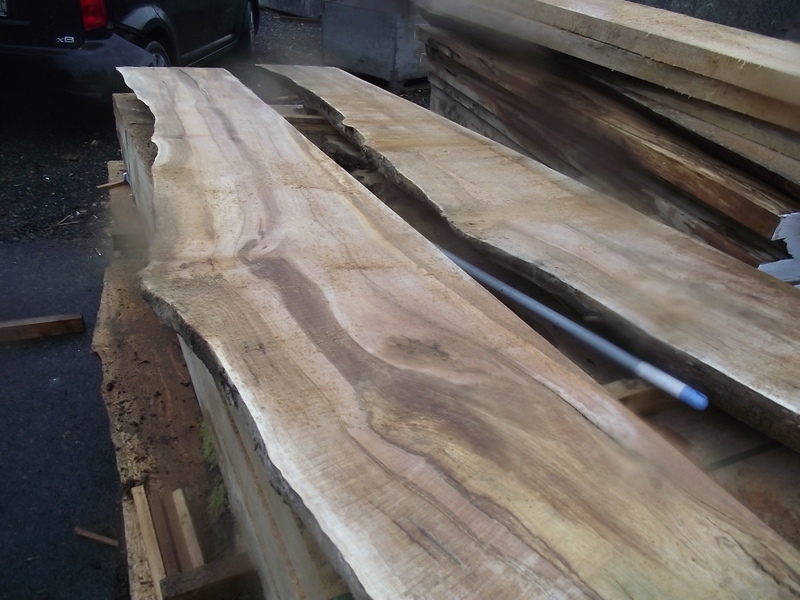 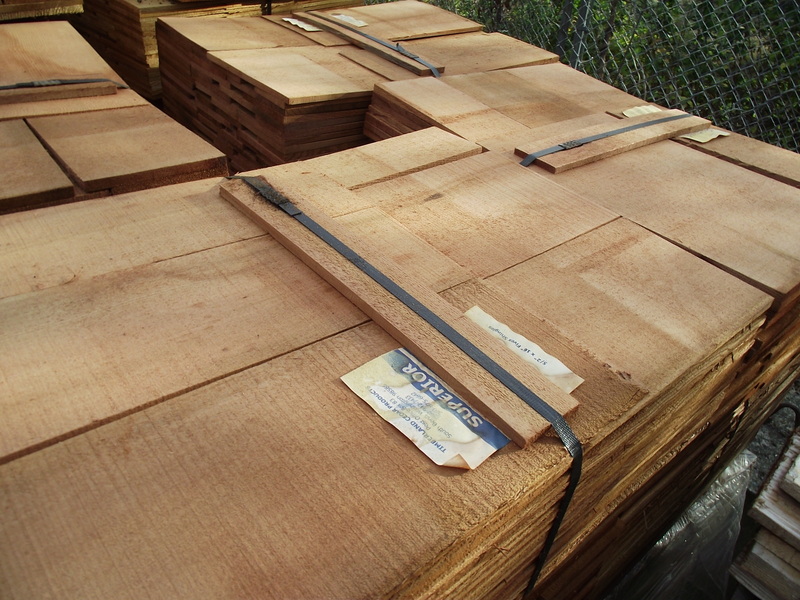 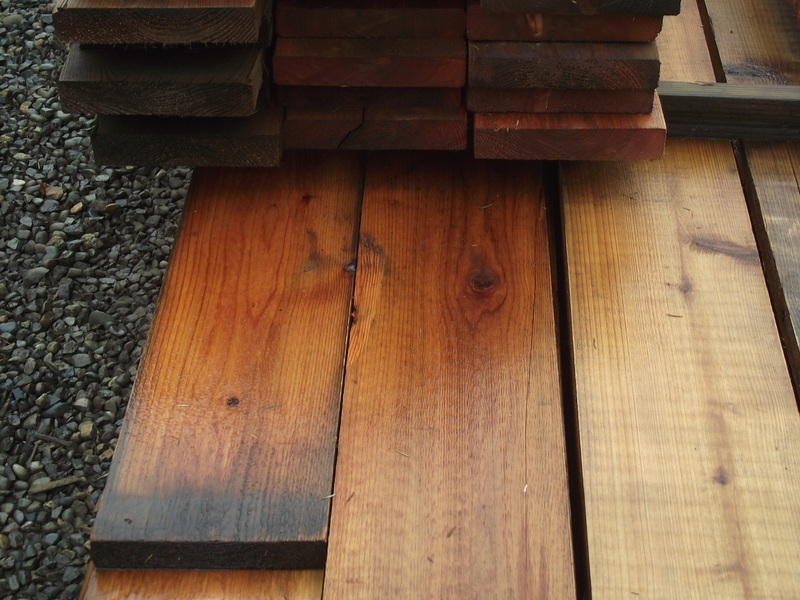 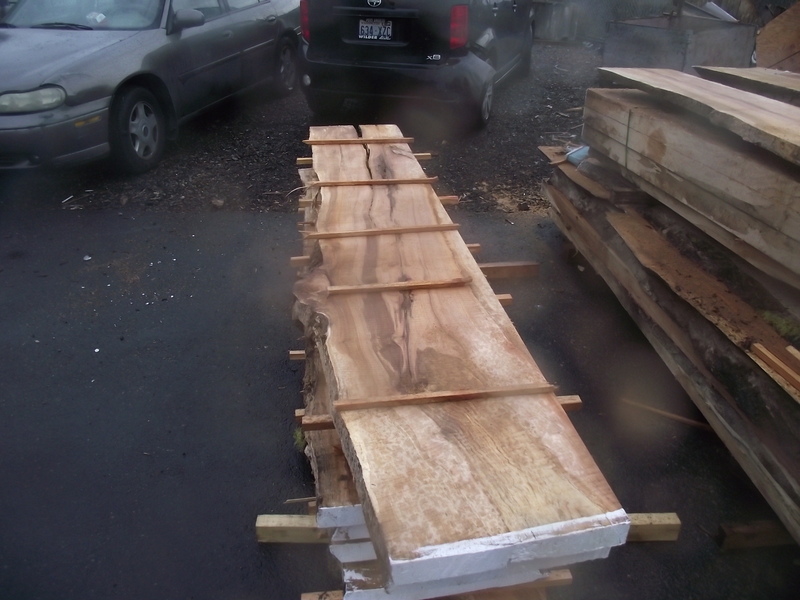 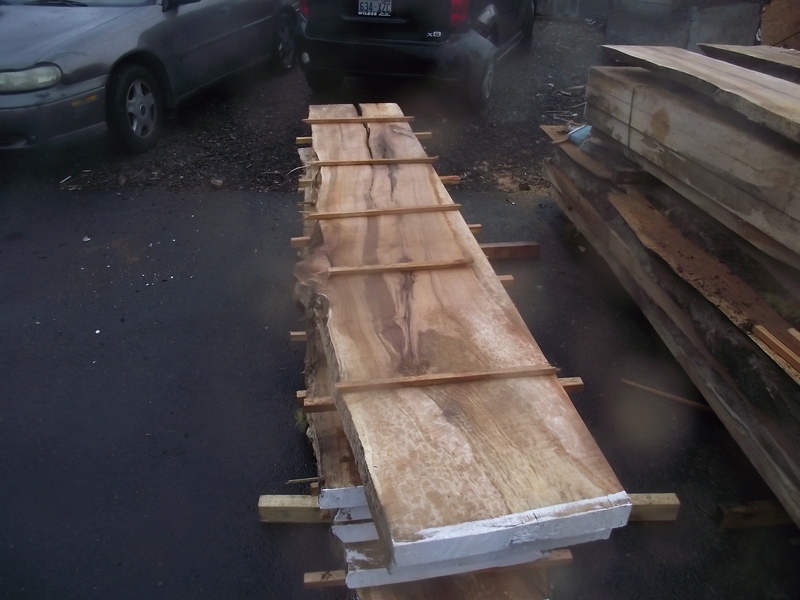 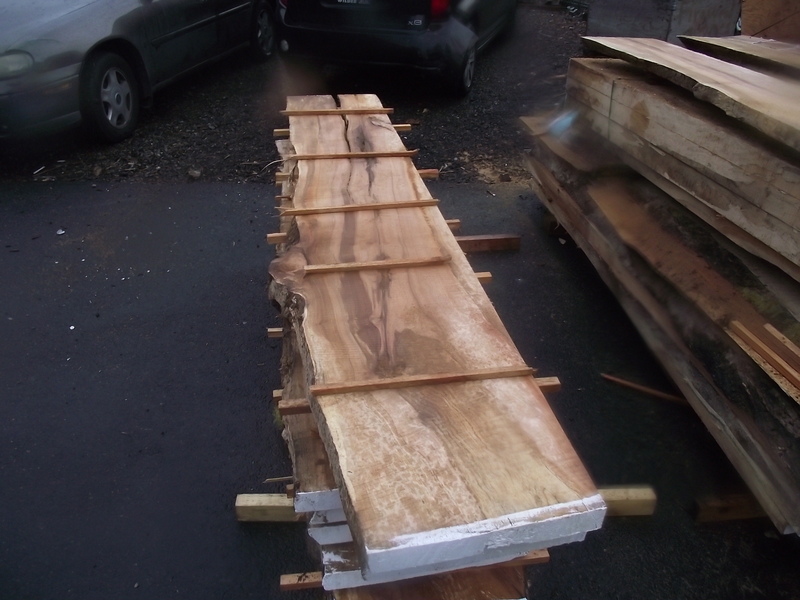 Cedar slabs, maple slads, madrone slabs, douglas fir slabs and hemlock slabs. 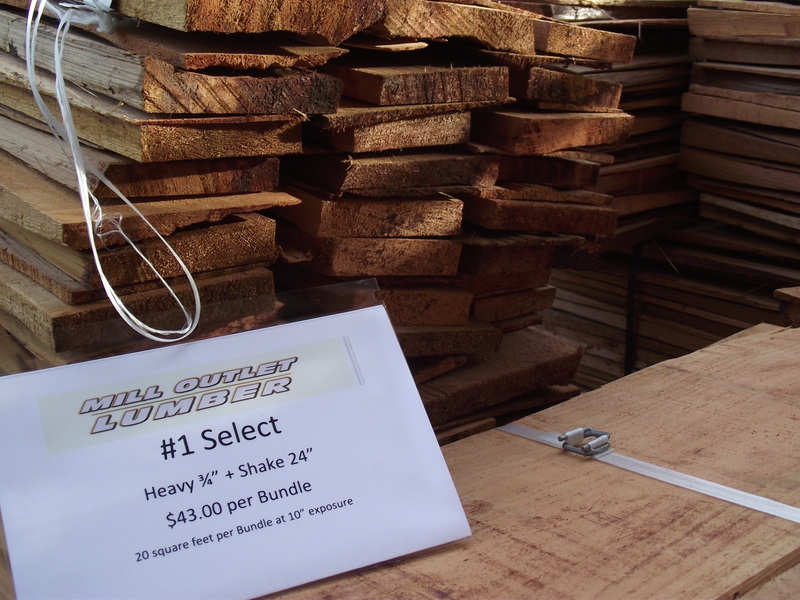 Too many variables to list, but if you are looking for live edge wood, full of character you owe it to yourself to check out what we have to offer. 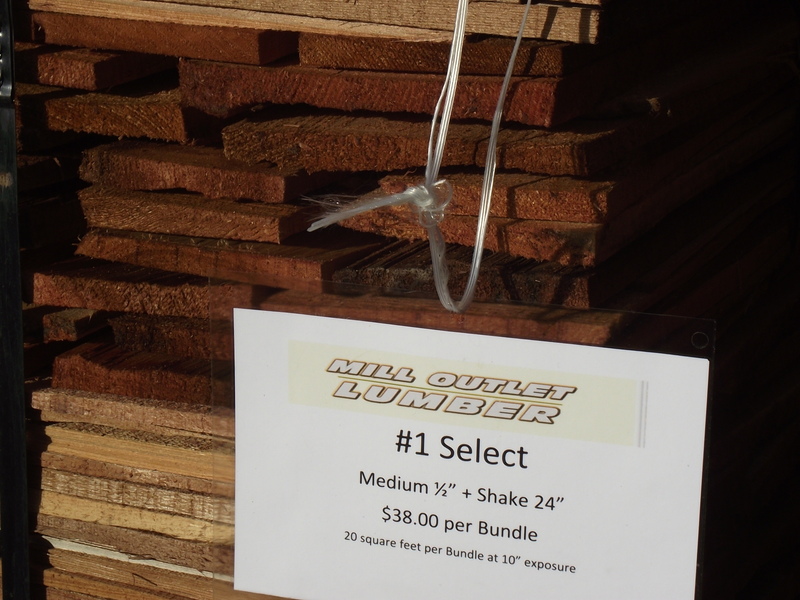 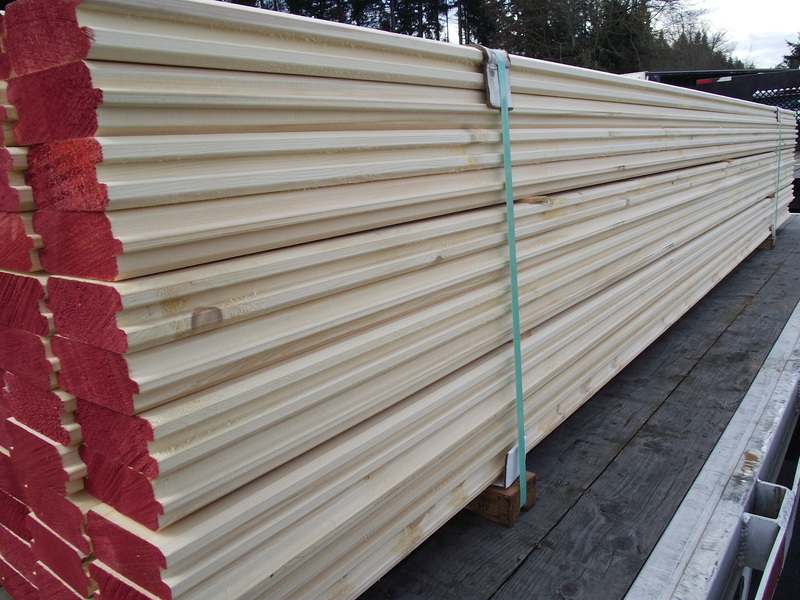 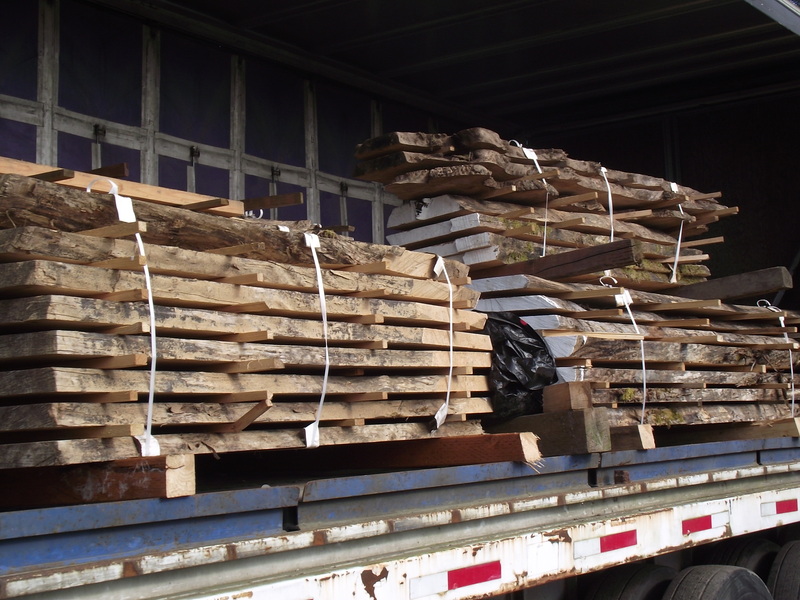 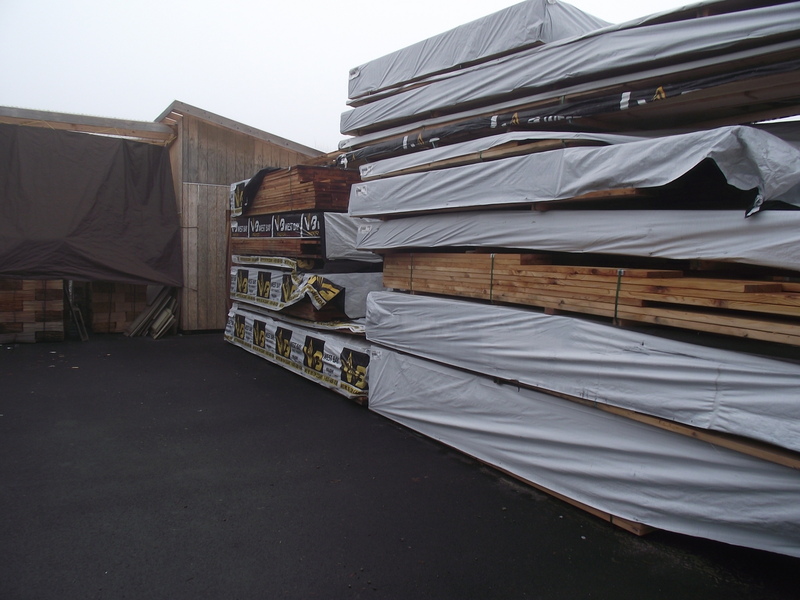 You may know us for our broad selection of cedar products and pressure treated lumber, but new to Mill Outlet Lumber is a major commitment to Alaskan Yellow Cedar lumber. 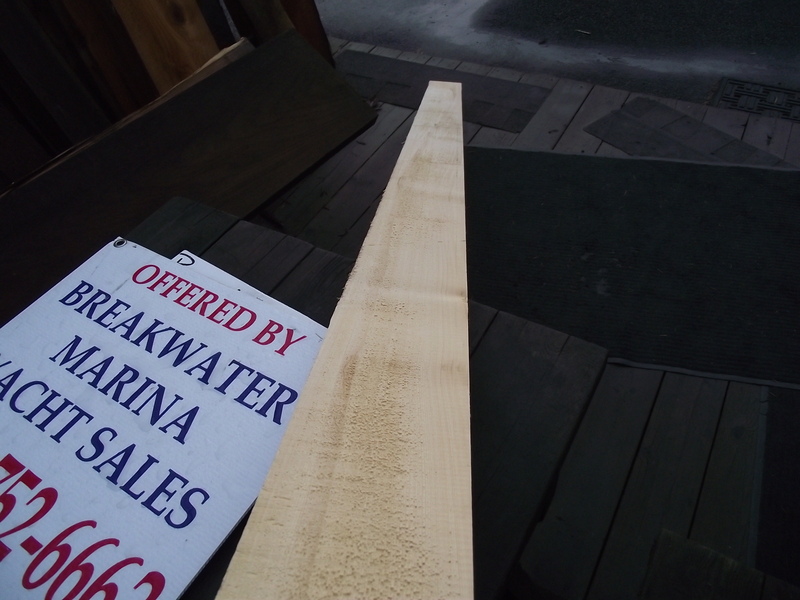 Nootka Cypress, yellow cypress, Alaska Cypress, whatever you call it, it is some pretty cool wood. 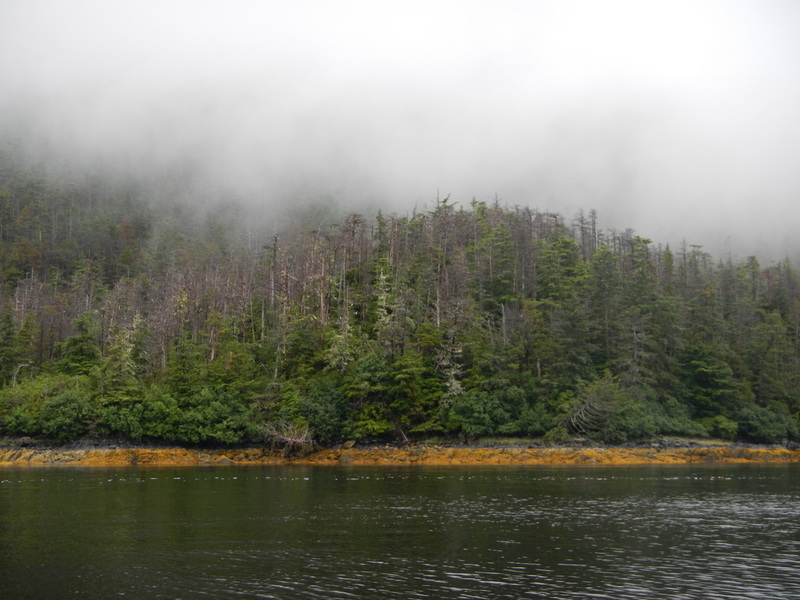 Growing in a range from Oregon, through Washington and Southeast Alaska, at higher altitudes in the south and down to sea level in the north, it thrives in extreme environments and on wet ground. 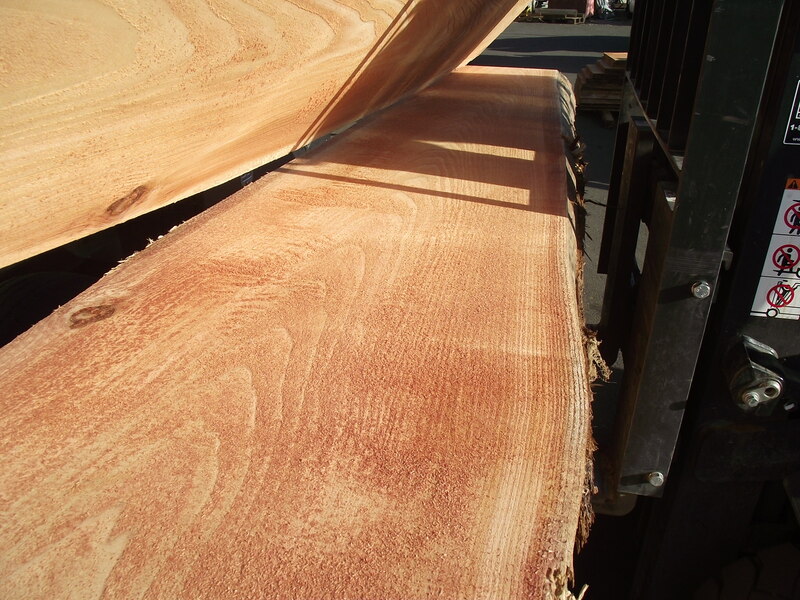 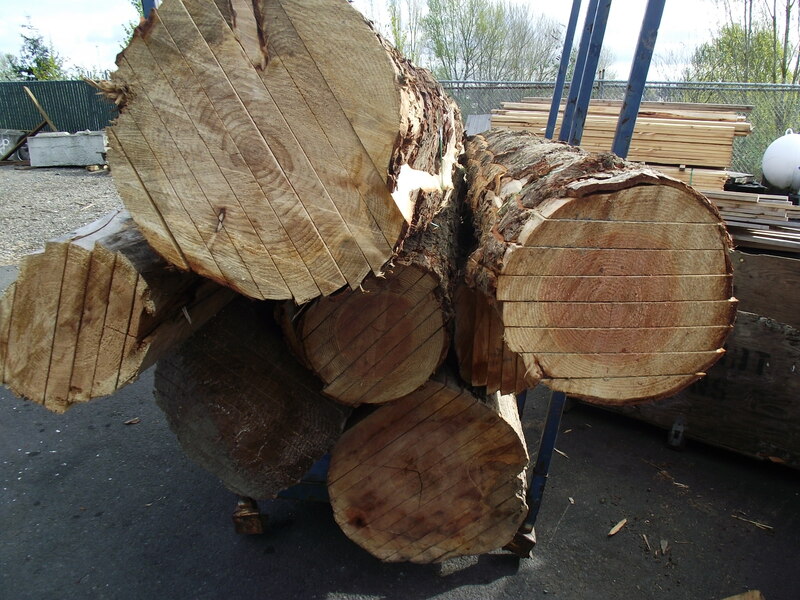 Due to the areas it grows Alaskan yellow cedar grows very slowly with closely spaced growth rings that almost disappear. 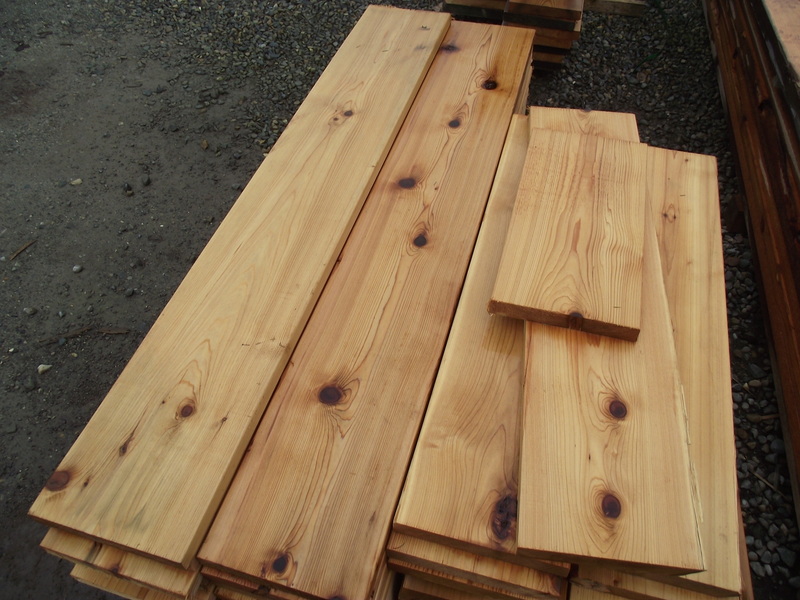 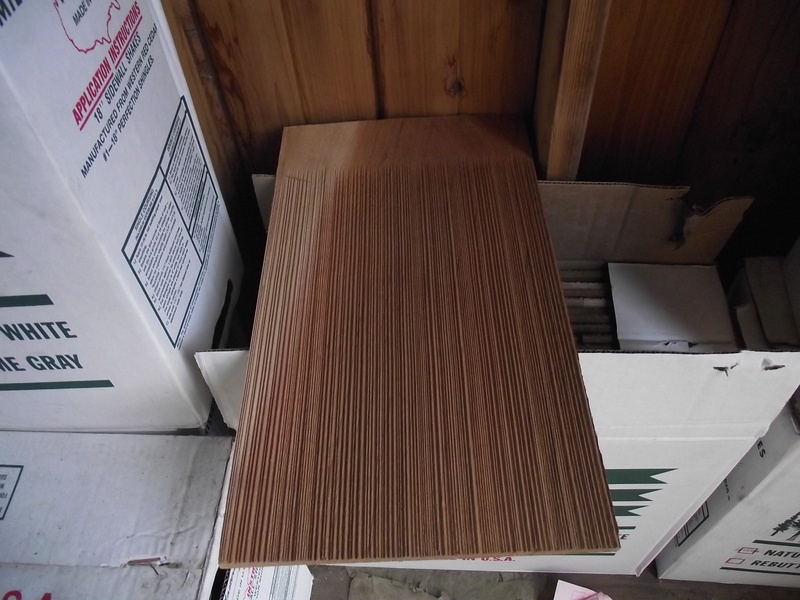 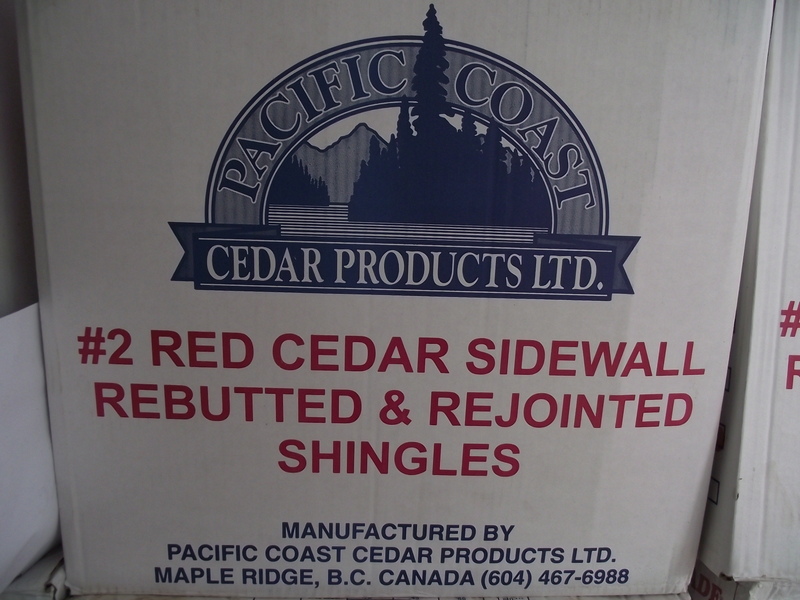 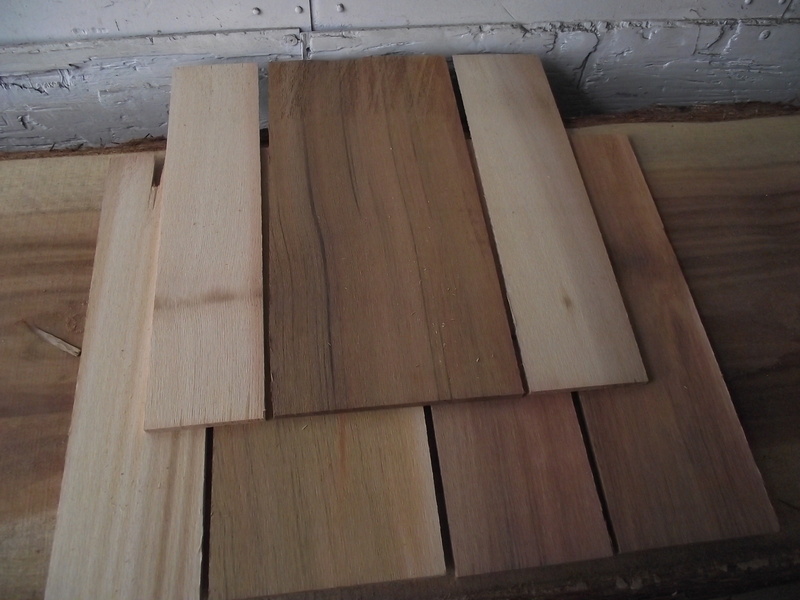 Because of this tight and consistent grain structure this cedar is a dream to work with, has very good dimensional stability, and is very strong. 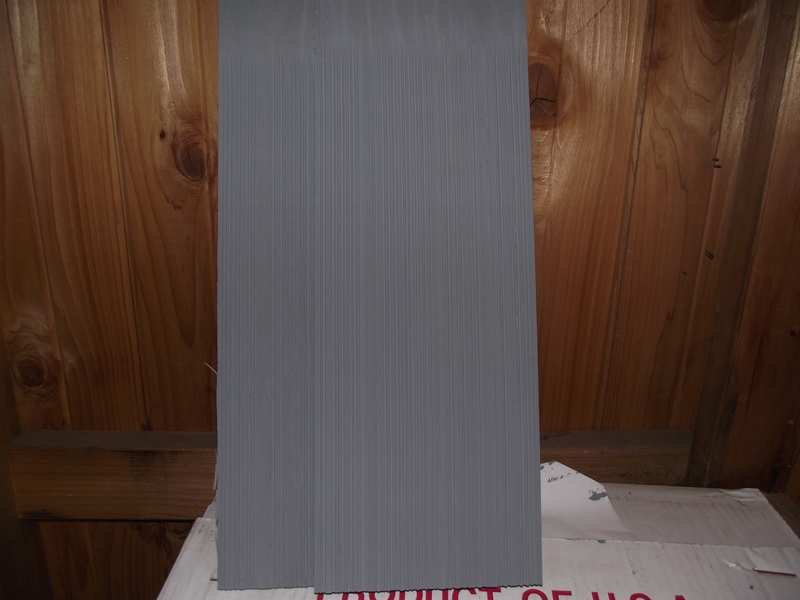 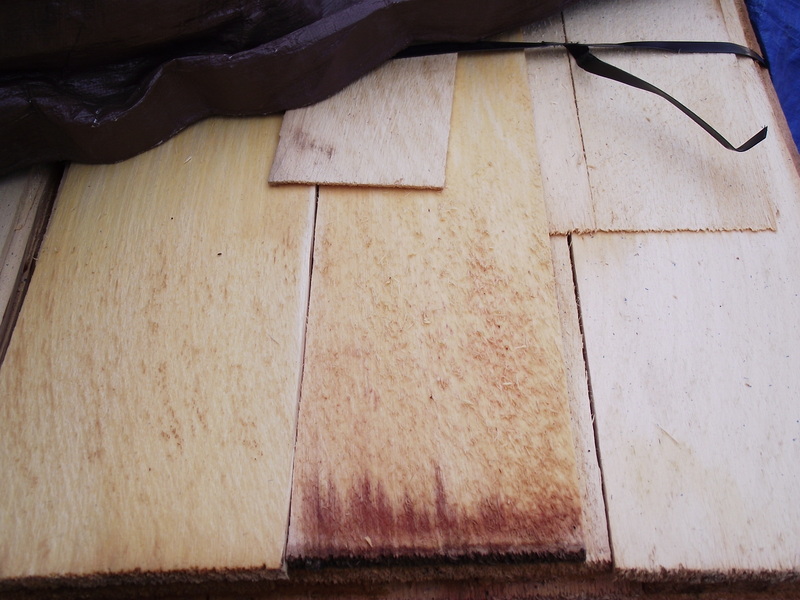 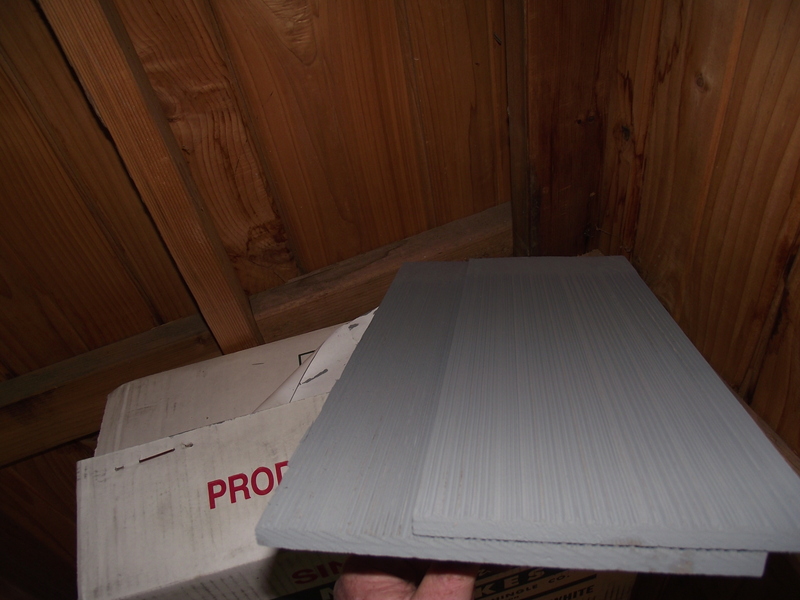 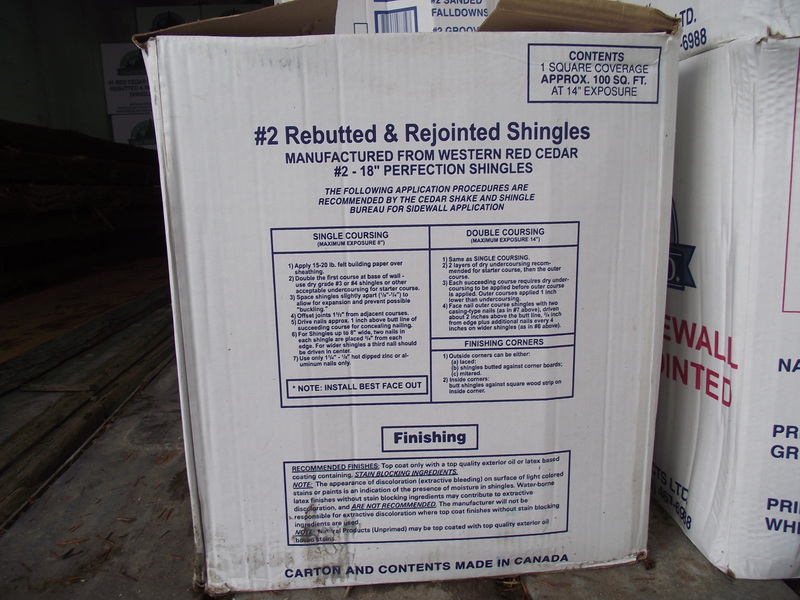 In addition it is extremely resistant to insects, rot, fungus, even saltwater wood borers. 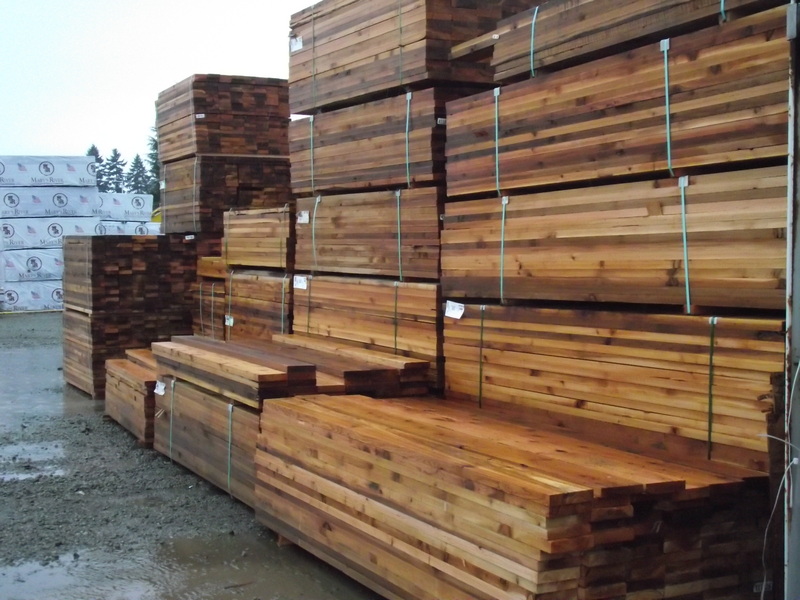 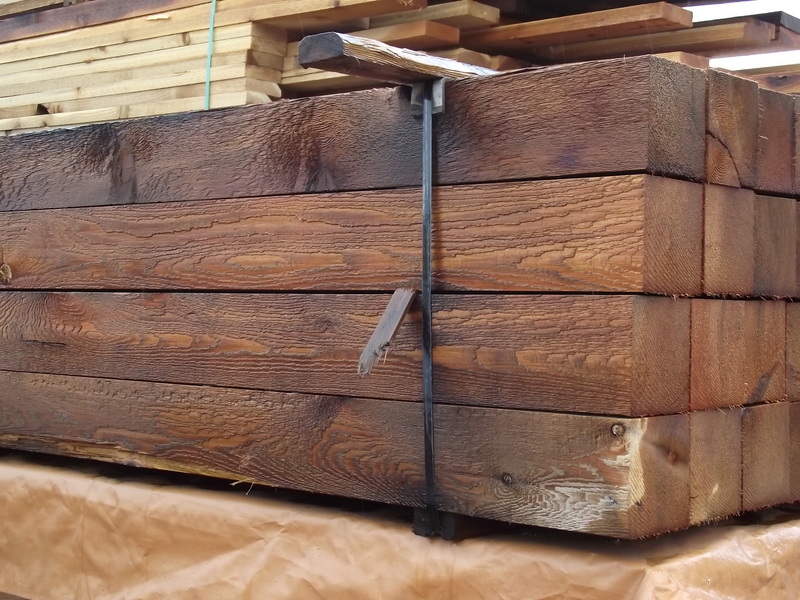 I read recently that Alaskan Yellow cedar posts are even rated better than pressure treated lumber in the case of direct burial in the ground. 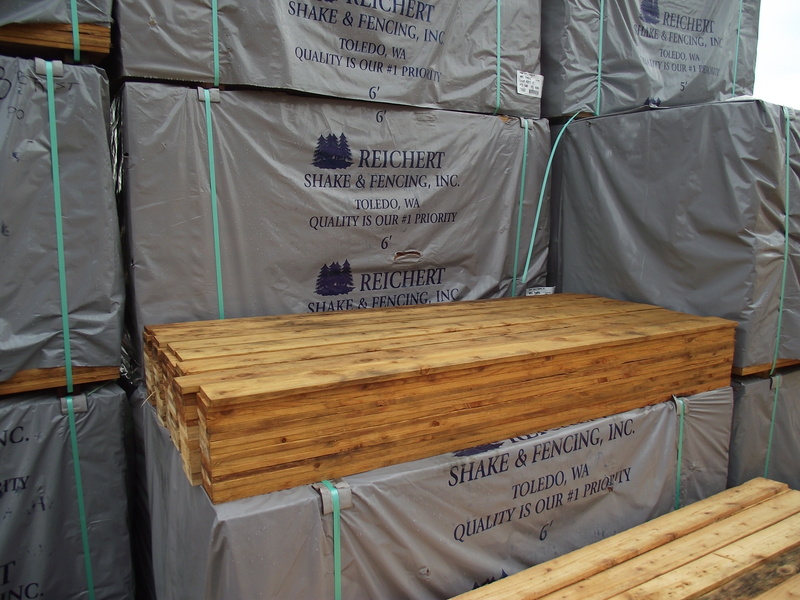 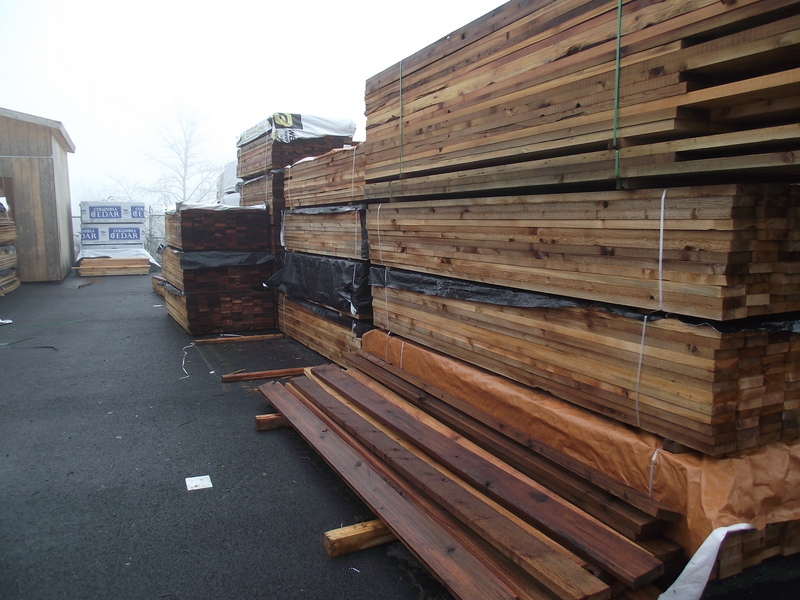 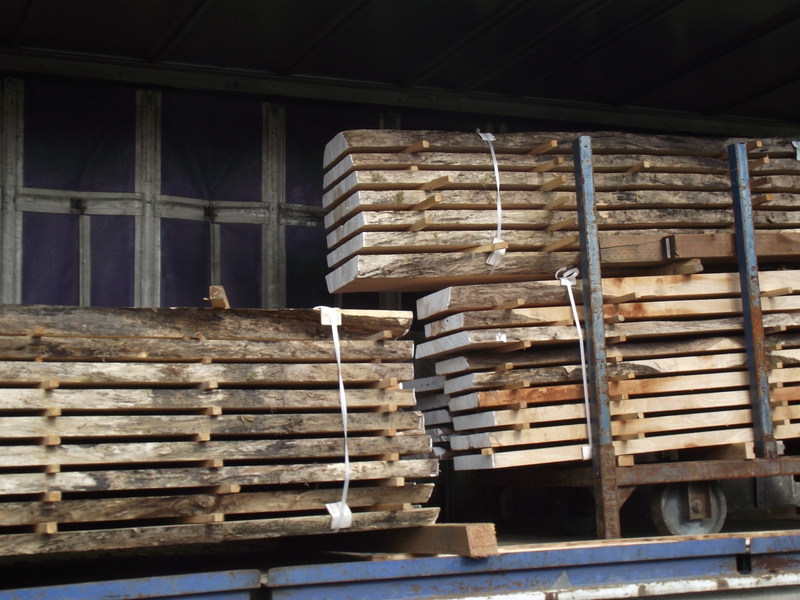 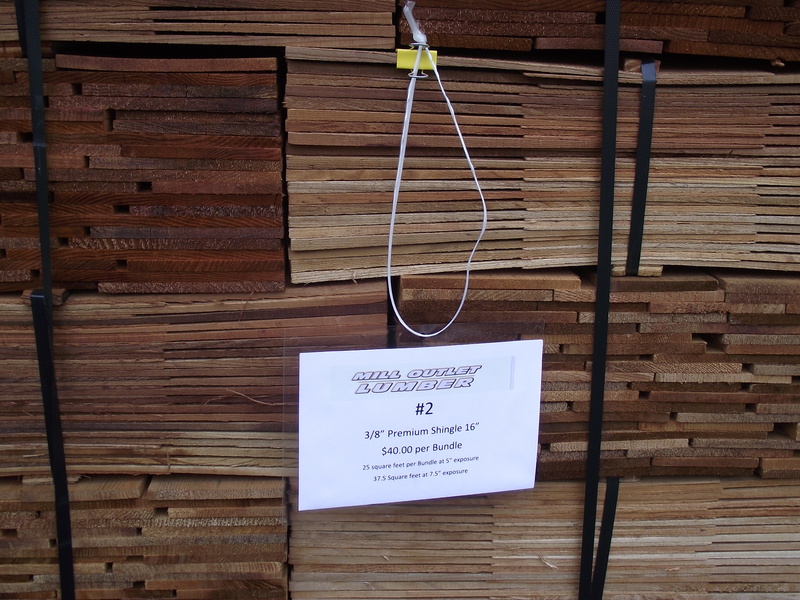 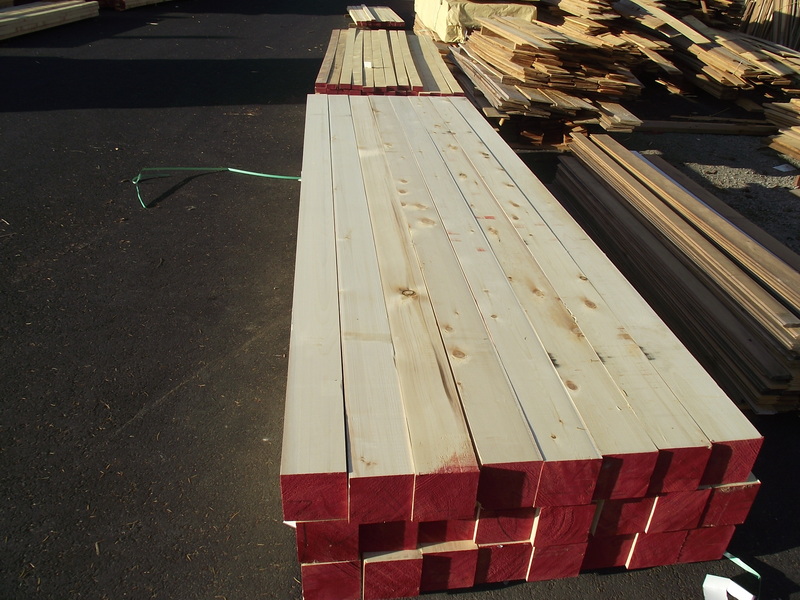 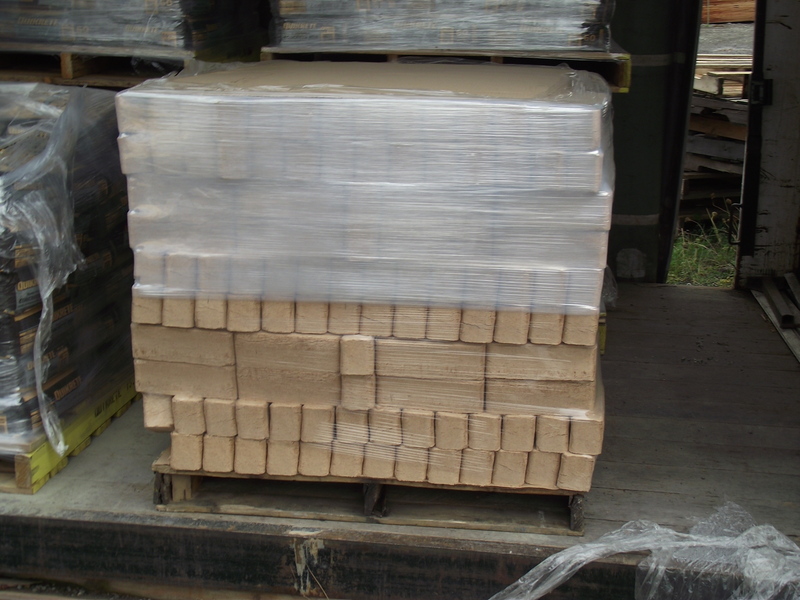 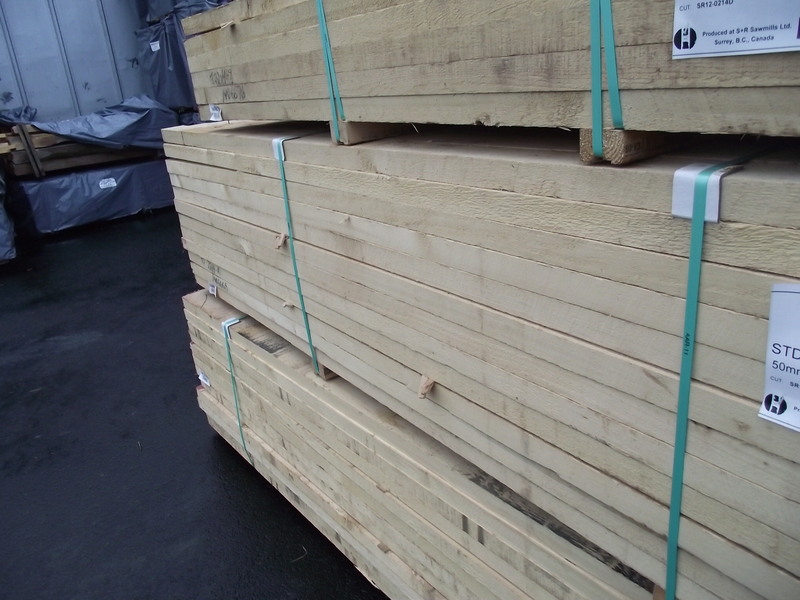 At present we are stocking rough cut full dimension lumber in sizes 2×4, 2×5, 2×6, 4×4 and 6×6 in a variety of lengths up to 16′. 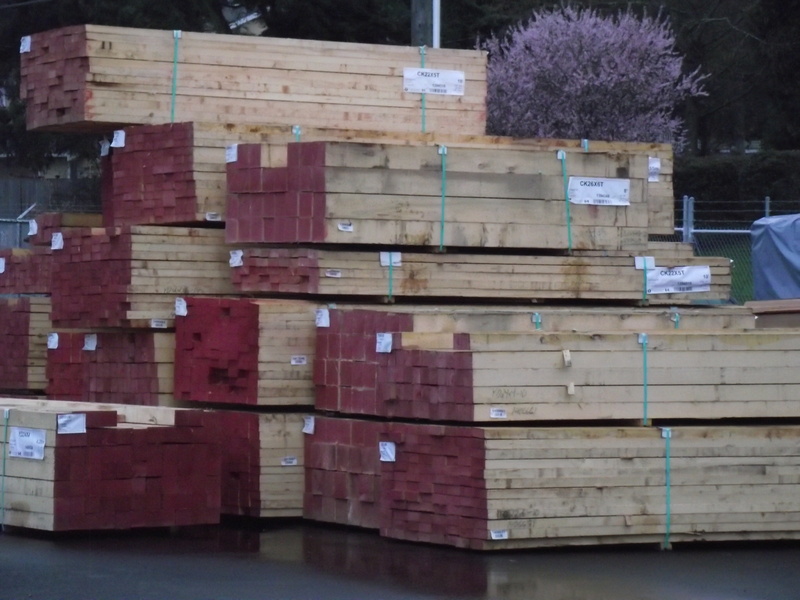 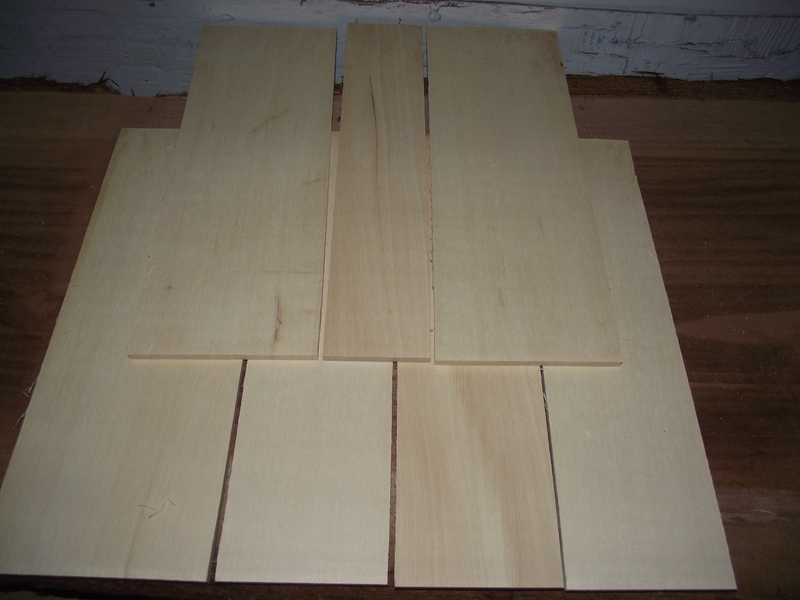 Coming soon will be additional lengths to fill out our selection up to 16′, 5×5 and surfaced 2×6 select grade decking. 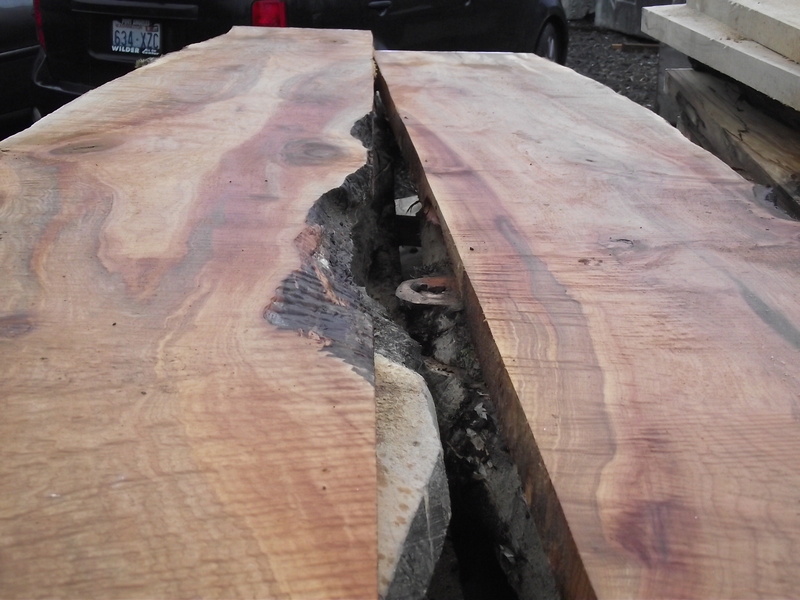 Grades are appearance knotty and d&better clear. 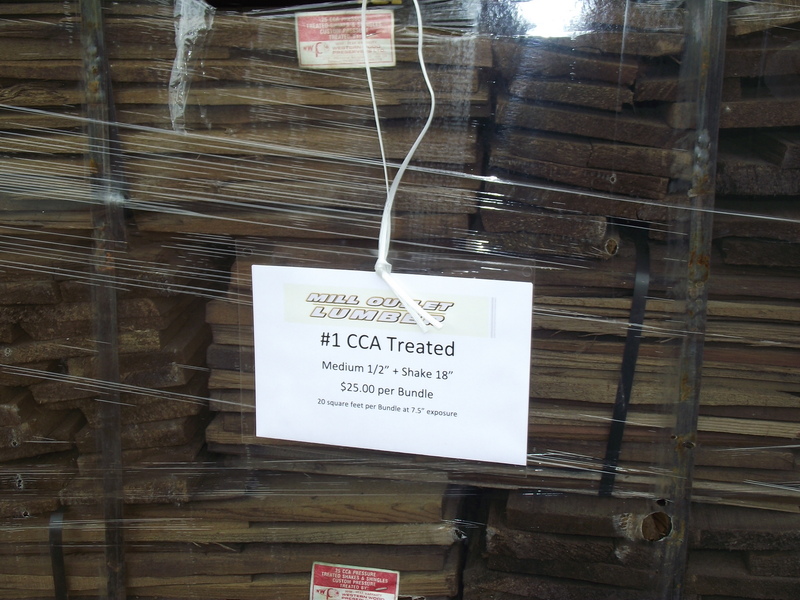 When gas was over $4.00 per gallon we had many customers travelling from 35, 50 or even 100 miles to save on cedar fence materials and decking. 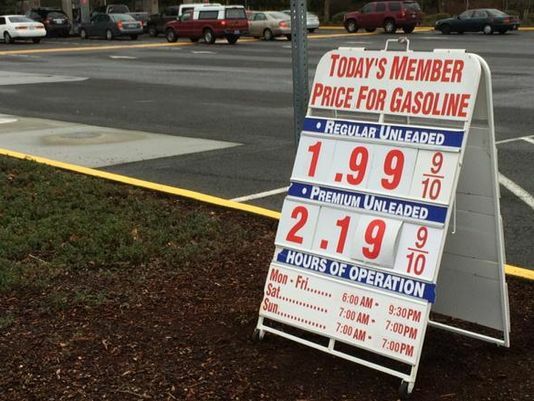 they came to take advantage of good deals and also unique materials that can not be found elsewhere.100 miles both ways at 10 miles per gallon adds up but now with fuel at half the price it is far less of a roadblock. 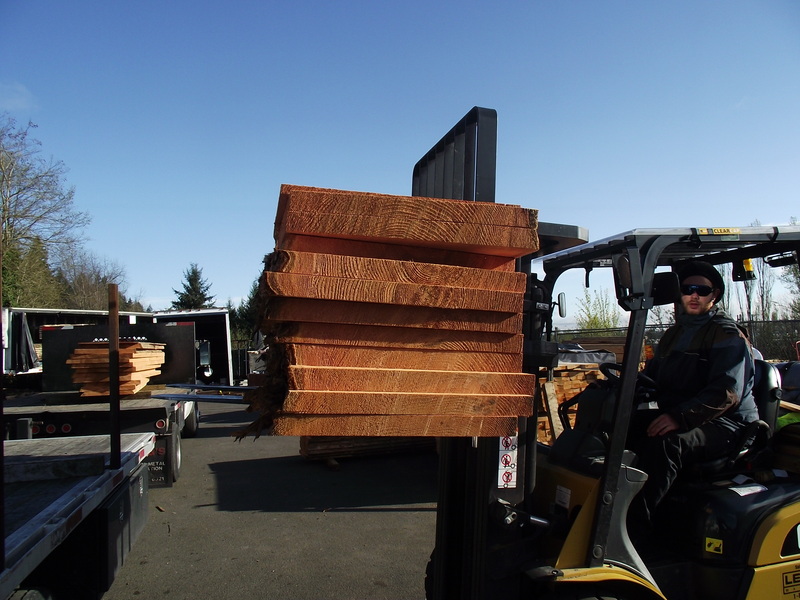 Our convenient location makes us easily available from the whole south sound area but also the I-5 corridor from Bellingham to Portland as well as East of the cascades and the Olympic Peninsula. 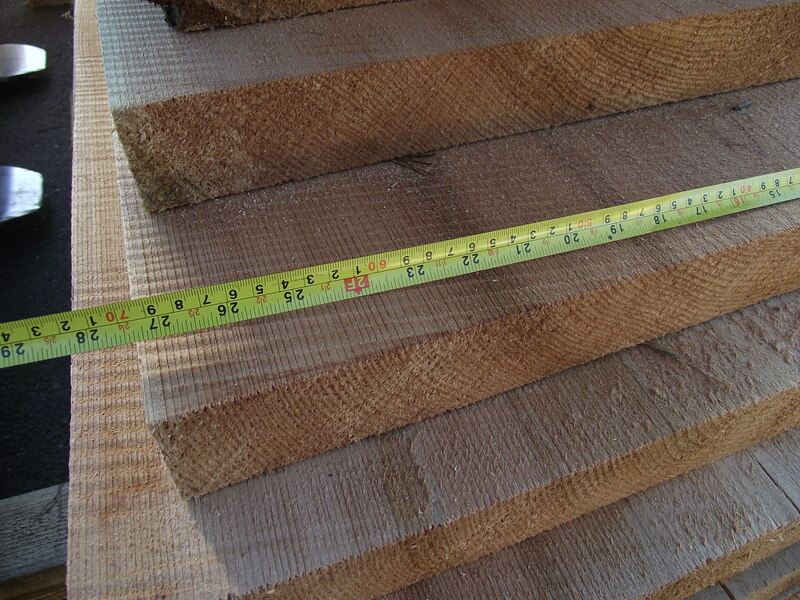 Most people are not more than 1 hour away. 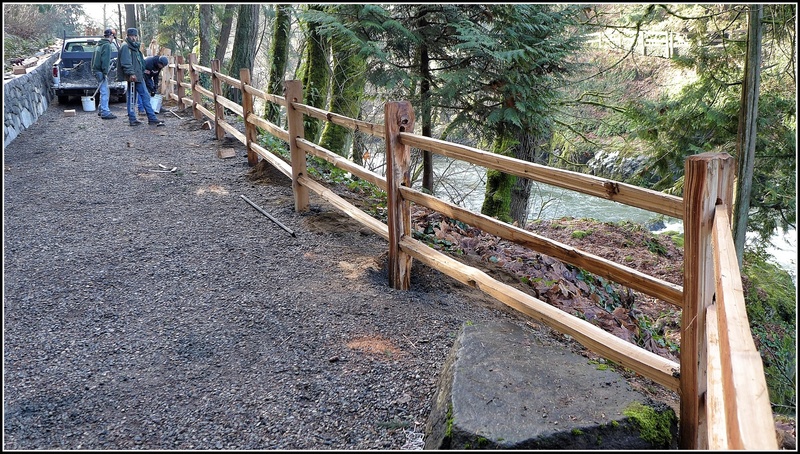 It is January 21 st and still a long way from warm summer breezes and blue skies that make the Northwest famous. 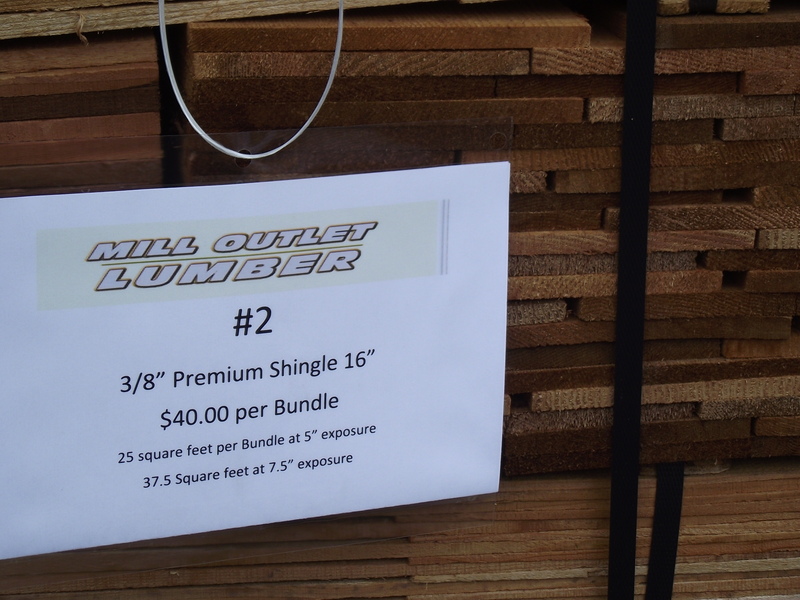 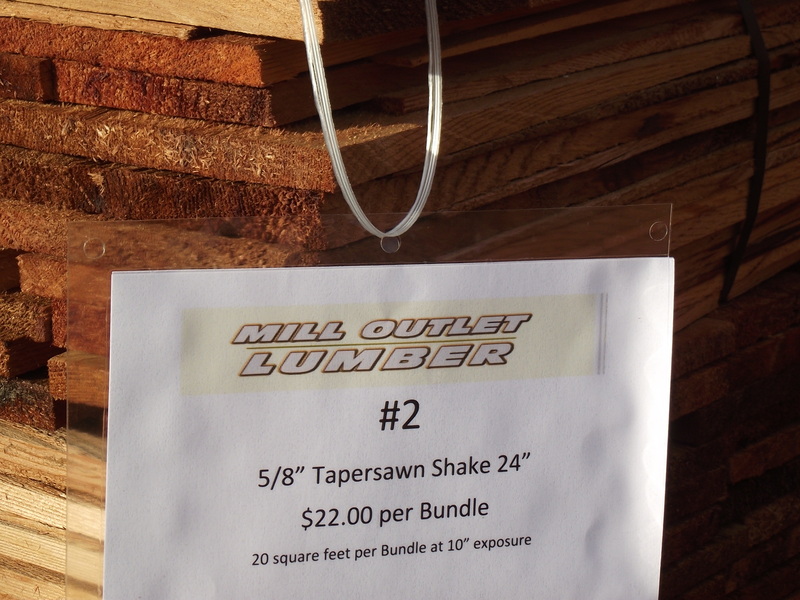 But the springtime pilgrimage has already begun to Mill Outlet Lumber in Tacoma. 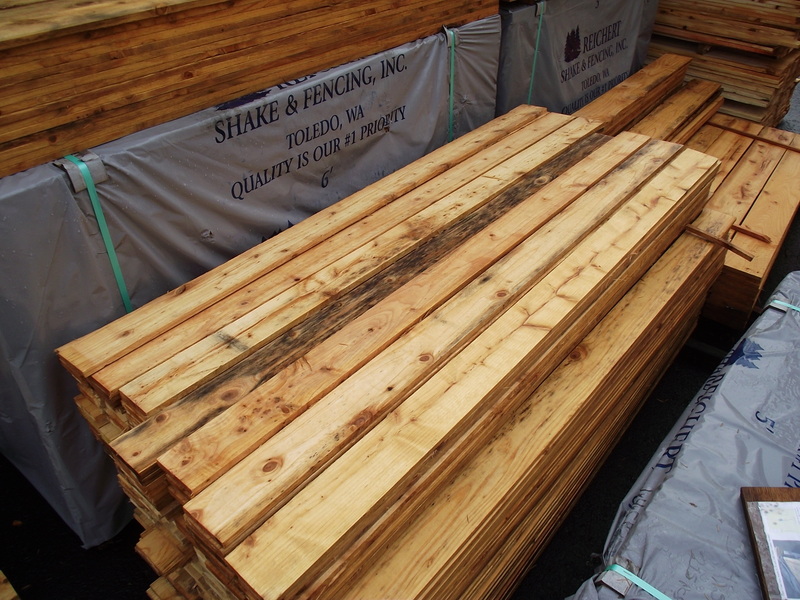 Customers planning and even building decks, relentless fence buyers, split rail for decorative yard and functional wetlands or pasture projects. 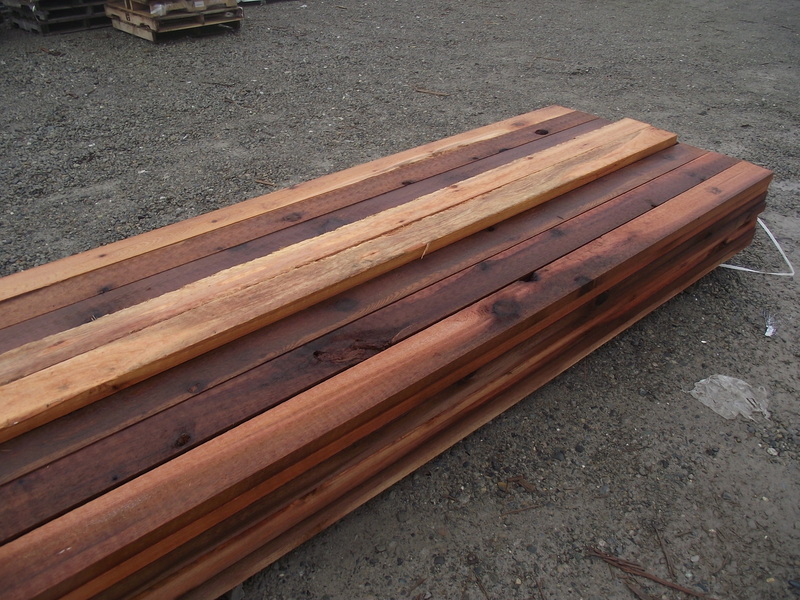 The thing about raised bed gardening is that you can more effectively control, moisture heat and air flow along with soil quality. 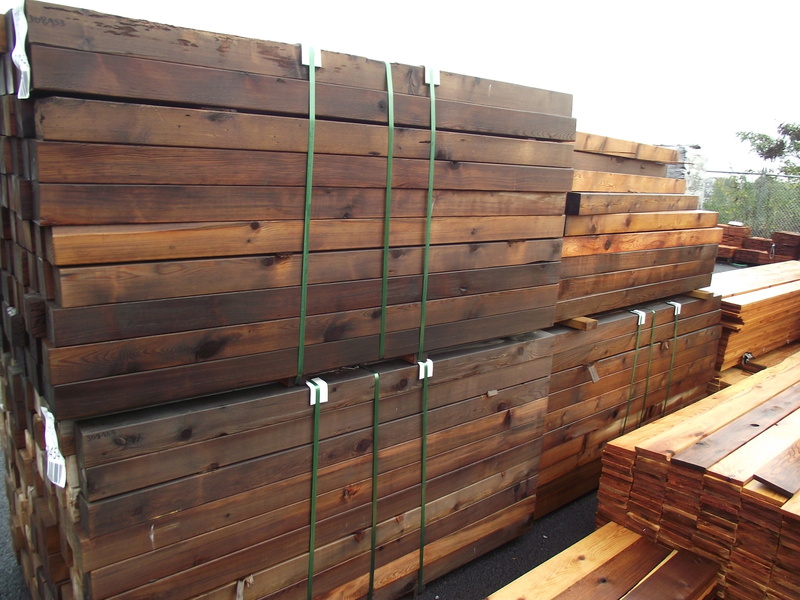 Now is the time to get them built and filled to allow nature to do its work with microbial and fungal growth that will help your vegetable plants root system to be most efficient. 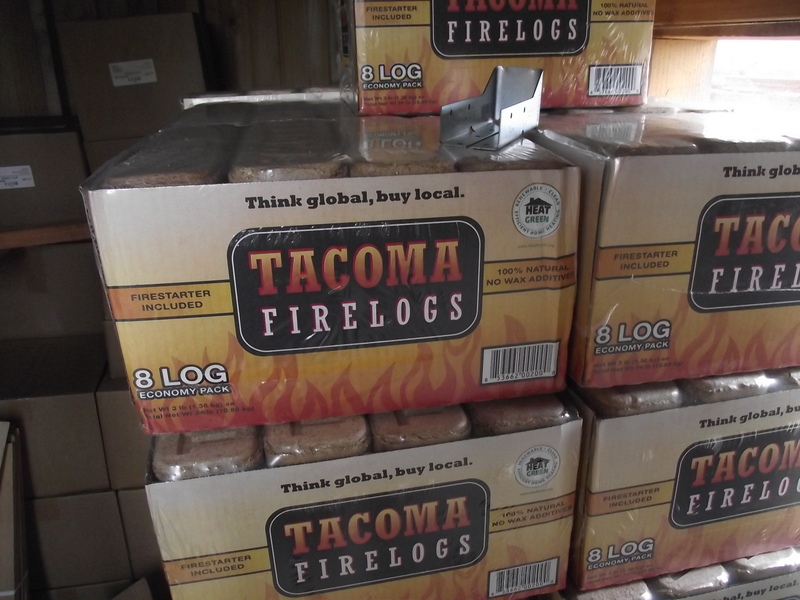 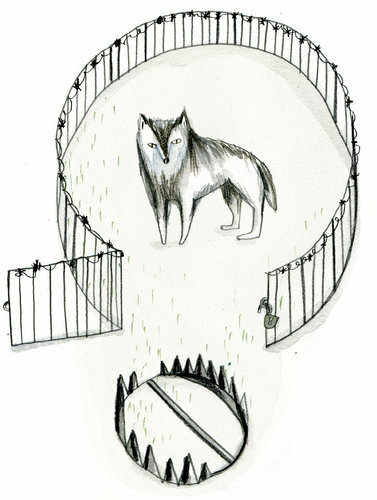 Don’t wait, come and get it and you will be rewarded come summertime.